Master bathroom renovations in major U.S. cities cost more than in secondary and rural markets simply because the cost of doing business and labor tend to be lower in rural and secondary markets. When you renovate a bathroom, there are a number of skilled trades that are involved, including flooring installers, plumbers, electricians, carpenters, wallcovering installers, lighting specialists and general contractors among others, whose expertise and skill sets can make or break any project. Labor is the biggest expense of any bathroom renovation, and the bottom line on labor is affected by size and shape of the bath and scope of the project. Odd shaped and larger baths will generally be costlier than a conventional sized and shaped bath. The scope of the renovation also affects the price. – Will you replace exactly what’s there with new product or do you plan to reconfigure space? Are you moving or adding windows or skylights? – Are you removing all wall coverings and taking the renovation down to the studs? – Do you need to move or relocate in-wall, in-floor and in-ceiling plumbing, electrical and ventilation? – Will the renovation force you to make unforeseen changes to comply with code? – Will you need a specialist to install shower doors, a steam system, tile, flooring or cabinetry? – Do you want storage solutions that will make your life easier and your new bath more enjoyable? – Will you have to or want to move your existing toilet location? – Will you need special plumbing and electrical for the new toilet, bidet, bidet seat, sink, faucets, shower systems, tub systems or storage solutions? – Are you interested in outfitting your space with original designed fixtures? – How important is the quality of floor and wall coverings? – How environmentally efficient do you want your new bath to be? – Who plans to use the bathroom, how often and when? – How long do you plan to live in your home? When you plan your bath renovation, generally there are more questions than answers. One surefire way to control costs is to have a well thought out plan that answers most of the questions before a single nail is hammered. 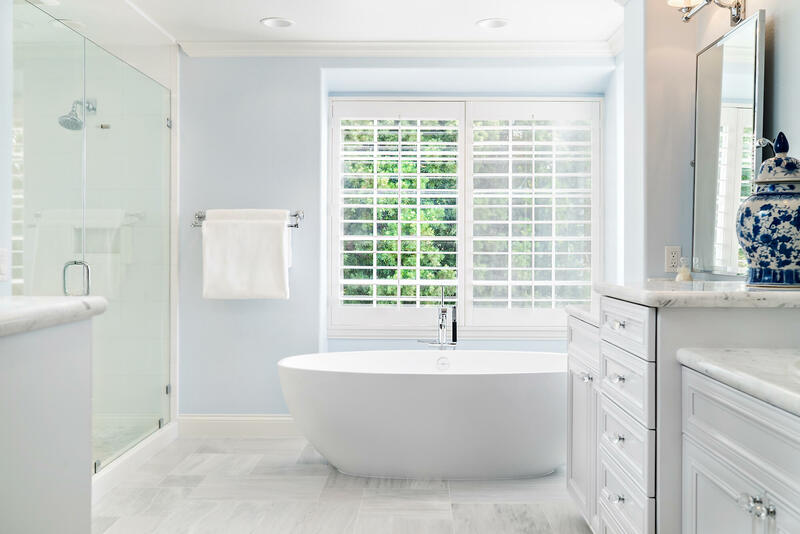 Sea Pointe Construction’s nationally recognized professionals design baths every day and know what questions to ask to assure that your needs and dreams are met – give us a call at (949) 861-3400 or visit our showroom at 576 Wald, Irvine CA 92618 to begin planning the space of your dreams.